"I've been using it now for two months, and the dog hasn't even yet figured out the voice comes from the computer :)"
"Digital Dogsitter -program was extremely helpful for us." "Thank you for making such an incredible program!" "I've recommended Digital Dogsitter to all my clients when dogs are suffering from separation anxiety!" "I heard about Digital Dogsitter from a friend of mine and the results were already noticeable the next day!" "In a week Musti learned to calm down and not to howl when alone." "Thank you for the great work on this software! It really saved us, the dog and the neighbors!" 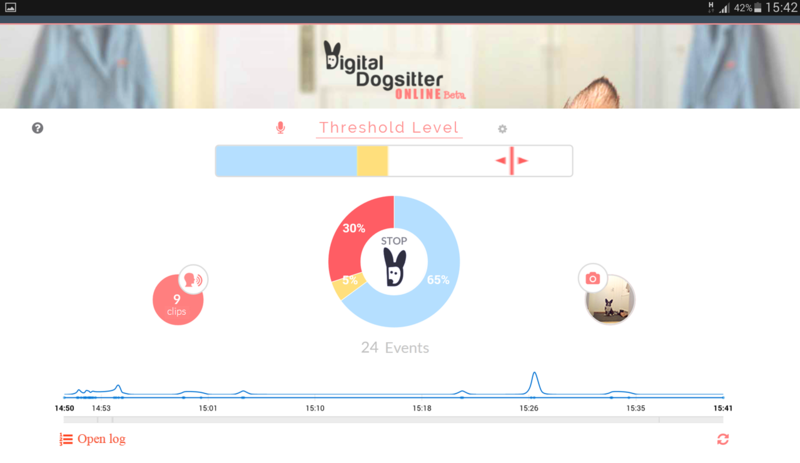 Digital Dogsitter is an easy tool to help you see how your dog is doing at home. It is the most dog friendly option to help your dog learn to stay home alone. It was developed not only to silence the dog but to cure the issue behind the symptoms. Digital Dogsitter has already helped thousands of users from around the world. Here you can find some of the stories our users have sent us. Does your dog bark when home alone? 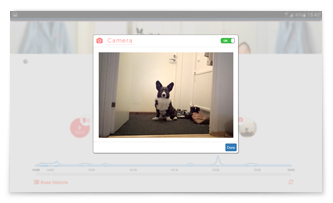 Do you want to know how your dog is doing when you are away? Do your neighbours complain about your dog's barking? Are you looking for an alternative to a bark collar or medication? Do you need help with training your dog to stay home alone? If you answered yes to any of the questions, then yes, this is for you. Read on or sign up and try it. 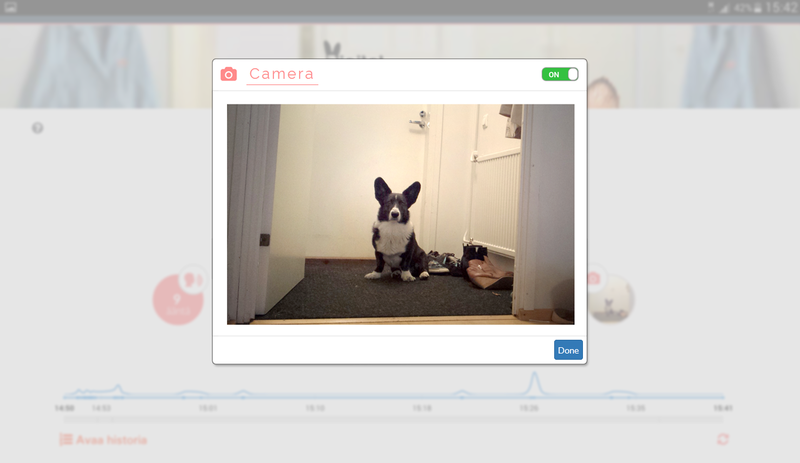 Digital Dogsitter is a web application that trains your dog to stay home alone. It was developed by dog owners for dog owners. 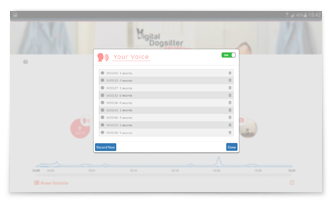 The performance of the software is based on recording the owners voice and playing the voice samples to the dog when he is alone. 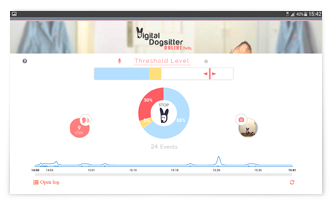 Unlike many other products, Digital Dogsitter is designed to cure dog separation anxiety in a natural way - not only the symptoms. 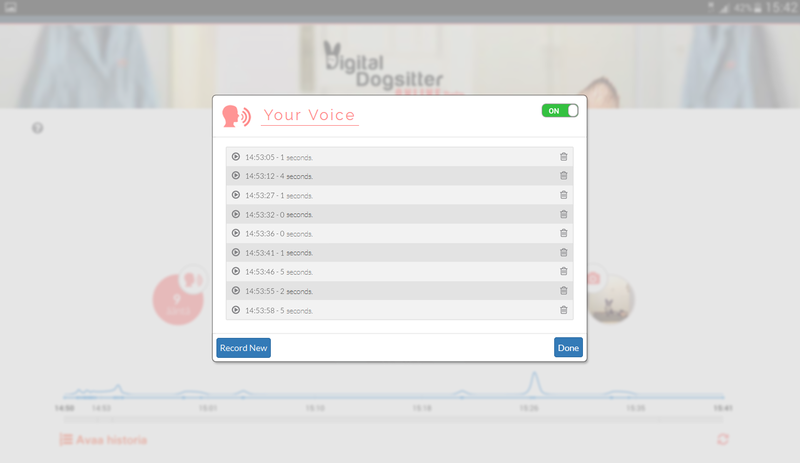 According to our customers' feedback, Digital Dogsitter provides help for separation problems in just few days. With easy-to-read log, you can figure out what your dog has been doing alone and plan the future exercises more precisely. Try Digital Dogsitter for free! Click ONLINE to start using Digital Dogsitter Online service in your web browser.